Kitchens Lanarkshire are your local recommended kitchen design and installation company based in Lanarkshire. We have designed, supplied and fitted hundreds of kitchens throughout Bellshill, East Kilbride, Wishaw, Coatbridge, Motherwell, Cumbernauld, Hamilton, North Lanarkshire and South Lanarkshire. Specialising in the design of fitted kitchens, our kitchen fitters are experts at fitting kitchens to a high standard. This makes us the number one choice when it comes to selecting a professional and reputable kitchen design and installation company. Due to continual growth and development, Kitchens Lanarkshire now manufacture our own made to measure kitchens using state of the art CNC equipment in our kitchen manufacturing facility which is located in Hillington, Glasgow. This enables us to cut out the middle-man and pass the savings directly on to you, the customer. We provide a 5 Year Warranty on all our fitted kitchens and guarantee to beat any genuine like for like, made to measure fitted kitchen quotation. Additionally, we are fully insured and all our work is guaranteed. Unlike many other kitchen installers, we provide a complete fitted kitchen design and installation service from start to finish throughout Lanarkshire, East Kilbride, Glasgow and the surrounding local area. Included in our quotes are all structural alterations and multi-trade work. Therefore, when you choose Kitchens Lanarkshire you can enjoy complete peace of mind that your kitchen installation will be as smooth and stress free as possible. With over 1,000 exciting kitchen combinations and styles to choose from, we have something to suit every taste and budget. We also provide a FREE no obligation kitchen design consultation at your home. Furthermore, our team of kitchen designers are highly experienced and professional, and our kitchen fitters are all fully qualified tradesmen. As we are a well respected local family run business with an excellent reputation, dozens of previous customers regularly recommend us to friends and family. With a local, modern kitchen showroom which showcases classic, contemporary, modern and traditional kitchens, with all the latest appliances, makes us your one stop shop for all your kitchen needs. We do not employ pushy sales staff who are on commission, and we do not pressurise any of our customers. Our aim is to provide everyone with a competitive price, a professional and friendly service and to take the time to discuss your individual requirements. To arrange a free no obligation kitchen quotation call Kitchens Lanarkshire on 01698 793084. Kitchens Lanarkshire provided an excellent service when we chose them for our fitted kitchen. Tradesmen were highly skilled and kept our home tidy throughout the kitchen installation. Highly recommended, and thanks for everything! Very helpful even when things go wrong, our integrated fridge freezer wouldn’t work properly on the day of handover. Kevin the installation manager had it changed over within a few hours, first class recommended service. What more can I say! From our free kitchen design to our complete fitted kitchen the process was on time. I changed my mind at the last minute with a different worktop, kitchen installers made sure it was still fitted on time. I came to Ian’s company as they were a considerable amount cheaper than a well known kitchen showroom near me. Although money isn’t everything it was more affordable and they supplied better units. We chose a local kitchen specialist when deciding on our new kitchen. George the kitchen designer managed to squeeze in everything we wanted into the available space. Really happy with the end result of our fitted kitchen, thanks boys. We found Ally to be most informative and helpful, they don’t offer kitchens on finance but pointed us to our bank. We sourced the funds from our bank at a better rate than other kitchen companies, great service! Kitchens supplied and fitted in Airdrie, Ashgill, Bellshill, Biggar, Blantyre, Bothwell, Carfin, Carluke, Coatbridge, Cumbernauld, Douglas, East Kilbride, Hamilton, Lanark, Larkhall, Motherwell, North Lanarkshire, Newarthill, South Lanarkshire, Strathaven, Stonehouse, Uddingston and Wishaw. 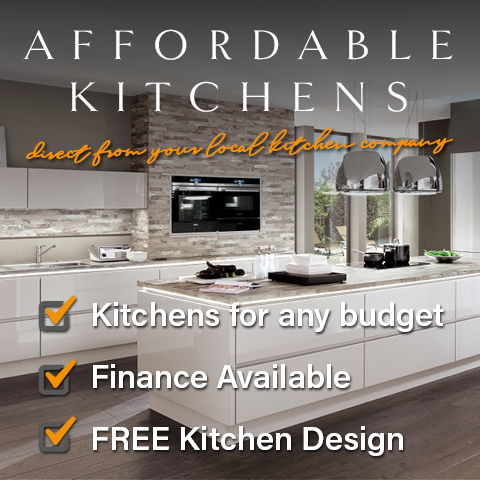 Book your free kitchen design today on 01698 793084 – Kitchens Lanarkshire.